Introducing 21 Instagram Templates. 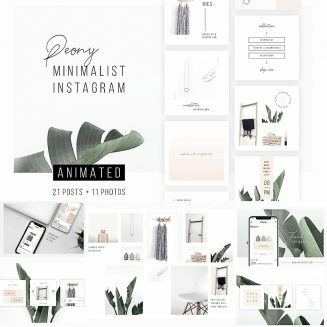 Animated Instagram posts are perfect to promote your business in an trendy and elegant advertising way. The video animation is just ready, so you only have to edit the texts/images, export as video and you are ready to post. Tags: blog, fashion, feminine, floral, instagam stories, instagram feed, instagram shop, instagtam template, minimalism, minimalist, Peony, stylish.